The directors originally wanted Zootopia to be a modern day homage to Robin Hood, back when Nick Wilde was more of the lead character. 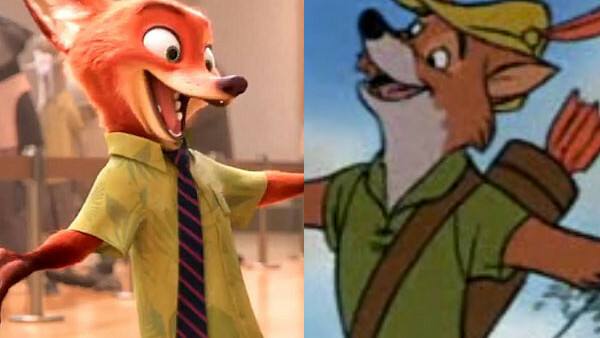 But even though the film went through significant changes, Wilde's design is clearly heavily influenced by the titular fox from Disney's 1973 version of Robin Hood. Like Robin Hood, Zootropolis belongs to the small sub-category of Disney films that star anthropomorphic animals with no humans or non-anthropomorphic animals. The third in the genre is Chicken Little. Executive Editor, chief Gunter and WhatCulture.com's most read writer. Like ever.